It is a smaller version of the original Pharaoh RTA that comes with an interchangeable deck design and auxiliary bottom airflow systems. The RiP Trippers Pharaoh Mini Spring Loaded RTA is an amazing development born in collaboration between Digiflavor and RiP Trippers. 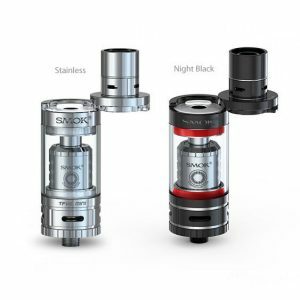 It is a smaller version of the original Pharaoh RTA that comes with an interchangeable deck design and auxiliary bottom airflow systems. This dynamic platform has an e-liquid reservoir with 2 capacities for your choice, a chimney lock, and a versatile airflow design. It features a unique dual bridge clamp post build deck with four post holes. Primarily it is suitable for single coil configurations. A special construction with lots of space between the large surface area of the terminal base and the clamp allows a huge range of coil structure configurations. Besides, the bottom airflow system has a click to set system with five different airflow settings. They vary from fully open to fully closed allowing to adjust the airflow according to your personal needs. 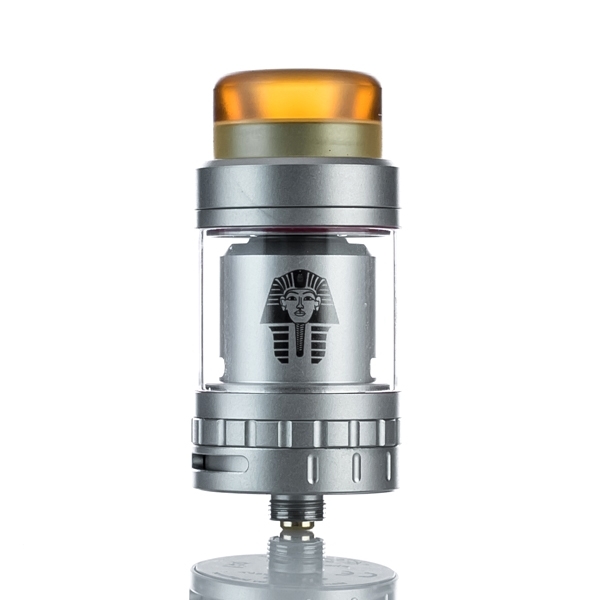 The standard e-liquid capacity of the Pharaoh Mini Spring Loaded RTA is 2ml. But there is an opportunity to extend it up to 5ml if you prefer larger capacities. 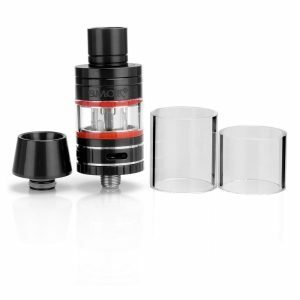 This atomizer features an extra thick 810 drip tip that reduces the amount of heat applied to your drip tip. 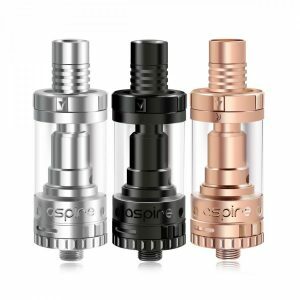 In addition, there are a red 810 wide bore drip and a black 510 wide bore drip tip giving you a possibility for customization. What concerns the design, the atomizer measures 24mm in diameter and has a nice pharaoh engraving. Two color finishes are available – black and stainless steel. 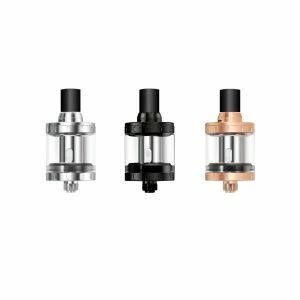 In sum, the RiP Trippers Pharaoh Mini RTA is one of the top rebuildable systems on the vaping market. Try it!